Description: Lighter than the v3 with no loss of cushioning, this neutral shoe is a training workhorse that boasts light support and all-around durability. The 880v4 was built from the pavement up with 2 layers of midsole foam: durable ABZORB cushioning closest to the ground and plush ACTEVA LITE against the foot. 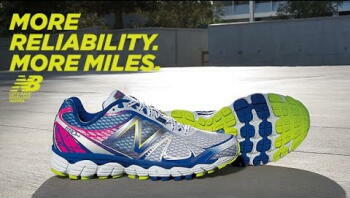 The T-BEAM technology in the midfoot provides lightweight support. The Fantom Fit upper cradles your foot with no-sew overlays providing a flexible fit.